You may heard people call a Blockchain software a wallet. What is a wallet? What is the purpose of a wallet? Is a wallet a node software? How is it used to store your cryptocurrencies? In this article, I am going to answer all the questions. You may have heard people call Blockchain software a wallet. What is a wallet? What is the purpose of a wallet? Is a wallet a node software? How is it used to store your cryptocurrencies? In this article, I am going to answer all these questions. The most popular usage of Blockchain so far is cryptocurrency, such as Bitcoin. In order to manage your cryptocurrencies, you need a software to send cryptocurrencies, receive cryptocurrencies and view balance. We call this software wallet. For people who are new to cryptocurrency, they are confused by the name. A Blockchain wallet is different from a real-world wallet. A real world wallet keeps physical bills. A Blockchain wallet doesn’t keep cryptocurrencies. It only store owner identifiers. Because cryptocurrencies are just transactions on a Blockchain network, there is no central authority to identify ownership of those transactions and result of those transactions, so a secure way is needed to identify ownership. The way of identifying ownership is a public/private keys pair. The most important purpose of a wallet is to generate and manage public/private keys. A wallet uses public keys to retrieve balance information from a Blockchain network. 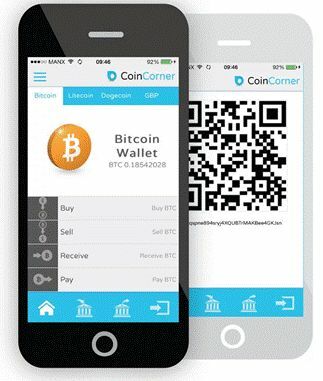 A wallet uses private keys to send out (spend) cryptocurrencies. Most Wallets can generate multiple public/private keys. Some Wallets can connect to different Blockchain networks and manage different types of cryptocurrency. Nodes are important parts of a Blockchain network. They have node software installed. A desktop wallet software is also a node software, but a node software may not be a wallet software. Miner nodes have miner software installed. A paper wallet is a document which contains a private and a public address that can be used to receive coins. A paper wallet is often printed in a form of QR-codes so users can quickly scan it and add it to a software wallet. A pre-loaded device with a fixed amount of cryptocurrencies. Bitbill was shaped like a credit card. Mike Cadwell created a round medal shaped Bitcoin. It runs as an app on smartphones. It stores private/public keys in the phone to allow users to directly pay from their phones. A mobile wallet relies on a full node for block verification and connecting with a blockchain network. A mobile wallet is usually a light node. It stores private/public keys on a web server that can be accessed by users with browsers. In most situations, a desktop wallet application is the same as a full node application. It downloads all transactions and blocks to a local computer. It has a better privacy control than mobile wallet and web wallet. Stratis Wallet is a wallet software created by Stratis Solution to manage Strat. Wallet is one of first things most people start with when they are trying Blockchain and Cryptocurrency. It is an important component of a Blockchain. Grasping the concept of Wallet could help you better understand Blockchain.